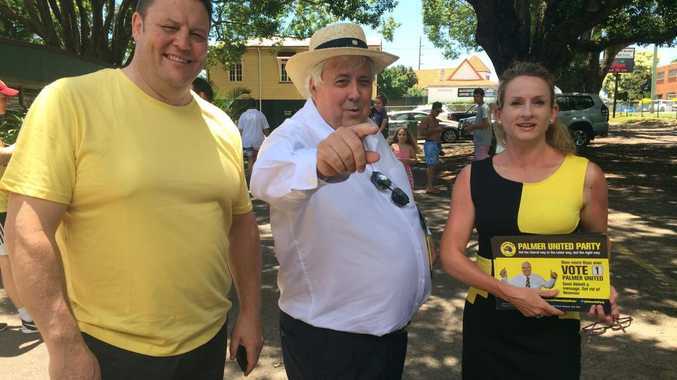 Clive Palmer, Glenn Lazarus and his wife Tess at Buderim Mountain State School on voting day. TO nobody's great surprise, it turns out that the Palmer United Party (PUP) is much more "Palmer" than it is "United". With Glenn Lazarus' resignation late last week, PUP has gone in less than a year from having three senators - and an alliance with a fourth, Ricky Muir - to just one. Jacqui Lambie and Lazarus' departures have not only stripped Clive Palmer of most of his influence in parliament, but raised the question of whether PUP will even make it to the next federal election. When Palmer first emerged, I wondered to what extent his leadership style and new career would be similar to those of other rich businesspeople in Western democracies who have entered politics with parties made in their own images. These include the likes of Frank Stronach in Austria, Janusz Palikot in Poland, Andrej Babiš in the Czech Republic and the most successful such leader to date, Silvio Berlusconi in Italy. The leader wields an extremely high degree of formal and/or informal power. PUP appears to meet all these conditions. Those who have left PUP have spoken of it being totally dominated by Palmer. They have described him as having no desire to either set up any kind of lasting state structures or to involve grassroots members. Like Berlusconi's parties, PUP inflates at campaign time and deflates afterwards. And, again like Berlusconi's parties, the leader's image is central to PUP's communication strategies, even in state campaigns where Palmer is not actually a candidate - just as Berlusconi has dominated regional election campaigns in Italy. Not only do Palmer and Berlusconi both lead "personal parties", but we might say that they both lead "plutocrat parties". Both men have used their enormous wealth to bankroll their political creations. In Palmer's case, this outlay amounted to more than A$25 million according to the party's 2013-14 accounts. In Berlusconi's, it has been estimated - very conservatively - at around 100 million euros. Also, both Berlusconi and Palmer created their own parties when - for very different reasons - they lost their key political friends. In Berlusconi's case, the Italian Socialist Party (which he had generously supported) collapsed in the early 1990s, thus depriving his business empire of a crucial governmental ally. In Palmer's case, the correlation between his dispute with the Liberal National Party in Queensland (which he too had generously supported) and his entry into politics looks more than mere coincidence. However, that is where the similarities end. While Berlusconi has shown himself to be adept at transferring business organisational and marketing skills to politics, Palmer has appeared completely out of his depth in this sense. Berlusconi's party communications, especially in the early years, were more professional and slicker than anything Italian politics had seen before. Palmer's have simply looked amateur and cheap. Take PUP's main policy document from 2013. Apart from its five key policies at the beginning, most of the document was copied word-for-word from a Liberal Party platform. For example, if you compare page six of PUP's policy statement about what it "believes", you'll find it is almost identical to what the Liberals believed. Palmer's electoral strategies have also smacked of naivety and amateurism. Unless a new party has massive resources not only in terms of money but also personnel (in central office and on the ground), it does not make sense to run in every lower house constituency at its first national election - as PUP did in 2013. Although this does give more visibility to the party, it also means wasting a lot of precious time on candidates who have no idea what they are doing and no hope of winning seats. Targeting a smaller handful of seats is usually more effective. 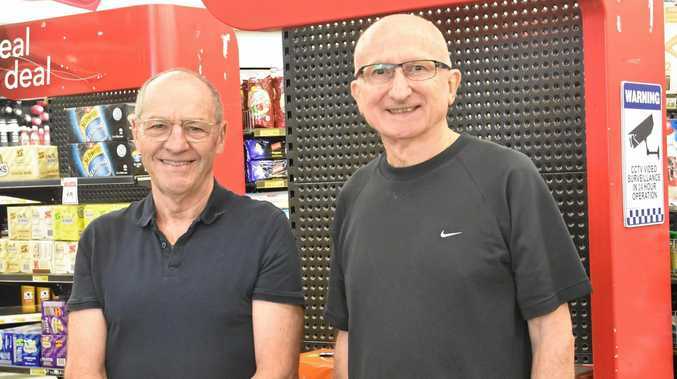 As for the state level, not only has PUP performed well below its own expectations at elections in Tasmania, Victoria and - most notably - Palmer's home state of Queensland, but it failed to register in time for the upcoming New South Wales state election. This is hardly the level of organisational skills you expect from a party run by someone who has had such a successful career in business. "… confident at the next election our team will be stronger, tougher and, more importantly, committed to what we stand for." I very much doubt there will be a "next election". As businessmen in politics go, Clive is beginning to resemble Kim Dotcom - whose momentum in New Zealand politics quickly flamed out - far more than he does Berlusconi.